Can Amazon mold public perception so it's seen as a platform supporting small businesses and avoid being seen as a faceless corporate giant swallowing everything in its path? A survey adds to the growing evidence that Amazon is seeking to do just that. "Do you know that half of everything sold on Amazon comes from small and medium-sized businesses," Amazon asked customers in a survey this week. The survey comes at a time when the company faces criticism on many fronts, and it's not alone. In writing about Google's earnings call, Business Insider noted that its CEO touted investments in the US and wrote, "But these are not ordinary times, and Google, like many of its Big Tech peers, is doing whatever it can to wrap itself in the American flag and show what a good citizen it is," the publication wrote. "Amazon opens "Amazon Storefronts," a new store for customers to shop exclusively from U.S. small and medium-sized businesses selling on Amazon. With Storefronts, customers can shop a curated collection of over one million products, and deals from nearly 20,000 U.S. small and medium-sized businesses, and learn more about profiled businesses through featured videos and stories." That puts this week's Amazon survey into perspective. In the survey, Amazon asked shoppers how well the statement "Is good for small businesses" applied to Amazon. "How easy is it to discover and learn about small and medium-sized businesses on Amazon," the survey also asked; keep in mind that Amazon's marketplace de-emphasizes sellers to the point shoppers may feel they're buying from Amazon itself even when purchasing from a third-party seller. The exception being the new Storefronts and its Amazon Handmade site for artisan goods. Amazon also asked survey-takers how likely they would be to recommend Amazon to a friend or colleague shopping for products from small and medium-sized businesses. "If in the future, you routinely saw that many products sold on Amazon were sold by small businesses, how would this change the way you shopped on Amazon?" I for one don't care who is selling the item I want. I go to amazon to get what I need when I need it. Unlike Ebay one never knows where it comes from as a lot of chinese sellers are listing us addresses. So we no longer buy on Ebay. We now use Amazon Prime and love it. The sellers are stated on Amazon, so if you are looking, you should know where it is coming from. And while Ebay most certainly has issues with Asian sellers, make no mistake, so does Amazon. And they are just as serious, it is just the subject doesn't get a lot of play here. I love Amazon; I love Amazon Prime. It used to be that Amazon prices for the items I look for were higher than eBay's, but now they are consistently lower. So now I check Amazon first, and if I can't find what I'm looking for, then I check on eBay. I have to wonder if the average Amazon buyer knows the items they are receiving are often from small sellers? Even the FBA items often were sourced by smaller sellers, and that makes a positive difference to me. However I usually go for the prime 2 day shipping, which I realize is often shipping from Amazon - but if the item is sourced from a smaller business, all the better. I'd like to see a poll of what typical Amazon buyers actually think about the source of the goods they receive. I suspect they think those items all come from a huge mega-retailer from start to finish. I support my fellow eBay sellers whenever possible. . . I just bought some .223 & .45 chamber brushes off eBay. PS: I would NEVER sell on Amazon as a small seller! I was never impressed with Amazon. Fees are high, shipping arrangement unfair, etc. Put up with it as the cost of building a business until they stole from me. That's when I cut them off as a buyer too. Will buy absolutely anywhere else before Amazon. $40 a month PLUS the 15% take is SO demotivating. I've bought and sold on Amazon since; forever. Even sold on there when they were screwing around with auctions. I have some difficulties getting around so have been a Prime member since they started the program and buy a lot of stuff on there. Also been a professional seller on the platform since they first started the program. FBM and FBA Small sellers but decent money, well, except for the last year. They have really been moving the goal posts around and this Christmas season is looking to be dismal for us. So bad in fact, that we are once again putting tons of stuff up on eBay. More so far this year and the last five years in total. PS: Overall -- No, they are not good for small business. "PS: I would NEVER sell on Amazon as a small seller!" If I am recalling one of your earlier posts (months ago) you stated that you went to Amazon, and you had difficulty listing your products there. Your items are niche. This is nothing but window dressing on Amazon's part. Virtually every day in the seller's forums there is a new and rapidly growing thread about yet another US seller's sales suddenly being slashed by 50, 60, 70 percent or more (I have yet to see any seller that ''speaks'' in broken English complaining about their sales activity suddenly being cut). They actively throttle both sales and revenues (by hiding your listings from public view) and once you fall under their throttling bots, there's no way out. So, what's the point of putting up a pretty storefront if Amazon's going to make sure that no one sees it except when they want them to? At one time (years ago), I had over 8,000 used book listings on Amazon, while at the same time listing collectibles, etc on eBay (before my Etsy days). Over the years on 'the river', my sales we're dwindling (even though I played the under-cutting game daily!) I kept discovering Amazon hiding my books from search (especially books that they had themselves). I eventually saw my lone self inevitably becoming a loser going up against a corporation that sold their OWN inventory on the same page as us little guys! That not being fair, and me working my arse off for less and less money, I decided to sell all my inventory to get out while I could. I now have maybe 40 individual books listed (no merchant account). I probably sell 1-2 a year. I almost forgot to mention that ALL sellers on Amazon have ALWAYS had a "storefront", whether you know or believe that or not. It's just that they keep it very well hidden (a little more deeply hidden as the links to contact a seller before your purchase). It's just up to each seller to promote their own link to that storefront. So NOW Amazon is going to start charging sellers for something that's always been included, yet let them dress up the style. Pretty 'crafty' I say. And I don't mean crafty as in doing crafts. @FOTW, you are correct. 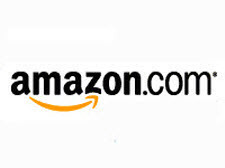 There are ways to extract your Amazon listings to create a "storefront" of a kind. Amazon rips off small businesses far more than Ebay.. you just don't hear about it so much on here because of all the Ebay haters. Amazon seller forums are a textbook case of Stockholm syndrome. When Amazon aids and abetts a theft, it's "the cost of doing business" and your only question should be "please, sir, may I have another?" Have you see the TV advertising AMZ is doing telling the public about independent sellers?